Marvel Studios and Disney today released the first public trailer of Avengers: Age of Ultron, next year's guaranteed superhero blockbuster. I won't bore you with my analysis, except, well, you just have to watch it. If it is at least half as good as Captain America: The Winter Soldier, then I will be happy bunny - and it sure looks like it may. 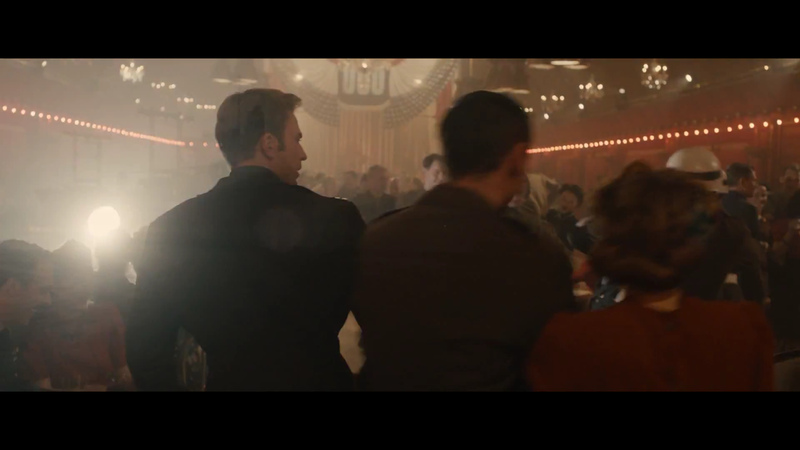 More importantly, within all the shots of Ultron in its various incarnation, Iron Man's Hulkbuster and Hulk destroying half of Johannesburg and Hawkeye being Hawkeye, is a short blink it or miss it 1940s flashback sequence featuring Captain America with who I believe is Stark Senior or Bucky, and Peggy Carter. This was shot back in April at Brockley's very own art deco Rivoli Ballroom. April 2015 can't come soon enough. Hail Hydra.